WILLS POINT, Texas, Aug. 17, 2018 /Christian Newswire/ -- GFA (Gospel for Asia, www.gfa.org) has issued an urgent appeal for help in responding to some of the worst flooding in almost a century that has claimed several hundred lives and displaced nearly a quarter of a million people in southern India. Photo: GFA's disaster relief fund helps take relief supplies to victims of natural disasters like this one—the worst flooding in India's Kerala state in almost a century. For more information, go to gfa.org/flood. 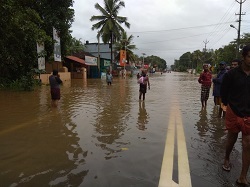 Donations to support GFA's disaster relief work in Kerala can be made at gfa.org/flood.